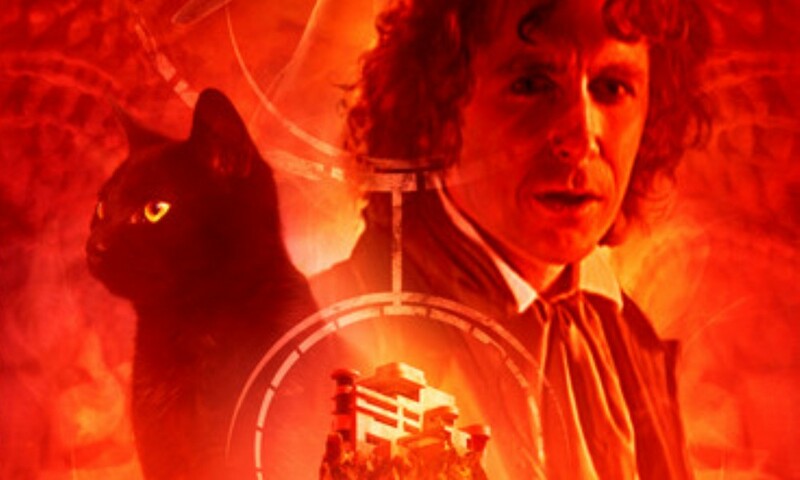 The Doctor's tour of the TARDIS with his new companion Tamsin Drew is interrupted by the appearance of a large black cat who sets the TARDIS controls to take them to the planet Nevermore, a world devastated by biological attacks only to then be sterilised by the Time Lords. The planet only has one inhabitant, Morella Wendigo, the woman responsible for the attacks. Nevermore is a mixture of different things, there is the obvious Edgar Allan Poe references, lots of the plot comes from his different poems while on the other hand is about a great genocidal crime and those who committed it while on the other other hand its the first story to focus around the new companion Tamsin but the problem is that none of these points are either executed well nor do they mesh together in a pleasing manner, in fact the whole thing leaves a rather nasty taste in the mouth after it's finished. The really interesting story focuses around the character of Morella and the secrets behind what happened on the planet Nevermore but all that is side-lined in favour of the character Senior Prosecutor Uglosi and his obsession with Poe to the point where he has cyborg ravens guarding the prison squawking 'nevermore!' at the slightest provocation. Either storyline would have worked well enough on their own but the mishmash of the pair doesn't gel well together and both storylines suffer from being linked together. Ignoring the strange taste in my mouth after the story had finished, I think that, on the whole, I did enjoy the story as both the storylines were interesting. Particular points include the secret of the planet and the Doctor's and Uglosi's discussion about Poe. However I did feel the end was one big out of nowhere cheat. But who really suffers here is Tamsin. Her actress Nicky Wardley does a good job with what little material she is given but the character never really gets a chance to shine as she is pushed aside by Morella. What really got me was that every single character, the Doctor included is annoyed at Tamsin for some reason or another and that doesn't bode well for a character the listener is supposed to like. Tamsin is the first character to meet Morella played by Fenella Woolgar, Agatha Christie in the 2008 story, The Unicorn and the Wasp, but the whole conversation is a one sided tale told by a war criminal with none of Tamsin's opinions being allowed to be included. And at one point at the end, the Doctor tells her to get in the TARDIS because she is in his way. How are we supposed to like this character if the others in the story don't? Fenella Woolgar dominates the cast here as Morella Wendigo by generally being the most intelligent of the characters. Although her decision to play the character as an American is a little odd given the revelation divulged in the behind the scenes extras. Michael Shannon puts in a good performance as Uglosi although he shines when the character becomes completely mad. But Emilia Fox, possibly the most famous actor in this story, is wasted as Berenice, the assistant to Uglosi. She spends the entire story being confused and often pushed aside by Morella while Eric Loren, the man who wore that horrendous mask in Evolution of the Daleks, plays a number of characters but is largly absent. John Banks does a good job as the Ravens though I wish they had been scarier than being stupid and goofy.